8 Ft. Park Scapes Recycled Plastic Flat Backless Bench with Steel Frame - 180 Lbs. 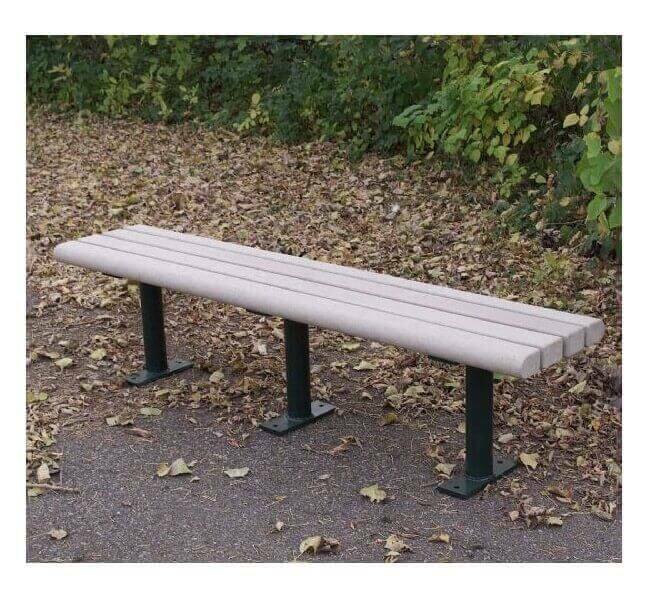 Our 8 ft. Park Scapes recycled plastic flat backless bench with steel frame is a perfect addition to basketball courts, schools, and gardens. 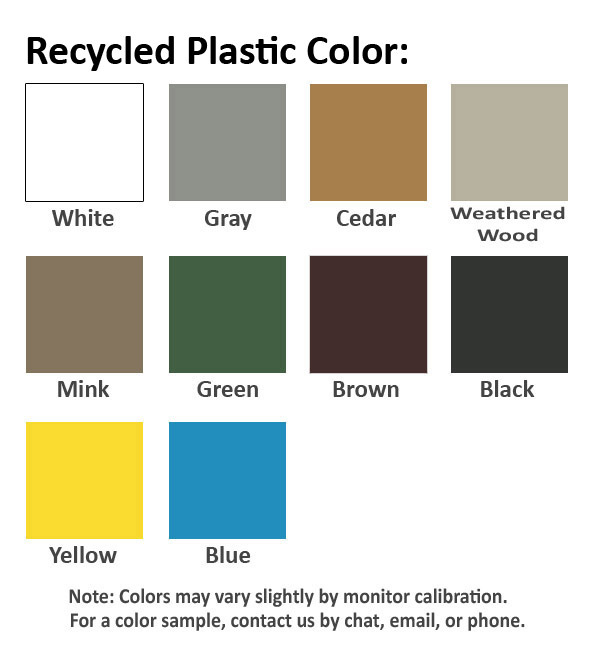 The 3" x 4" slats are made with heavy-duty bull nose recycled plastic, which is an attractive alternative to natural wood as it does not require much maintenance for its many years of dependable service. 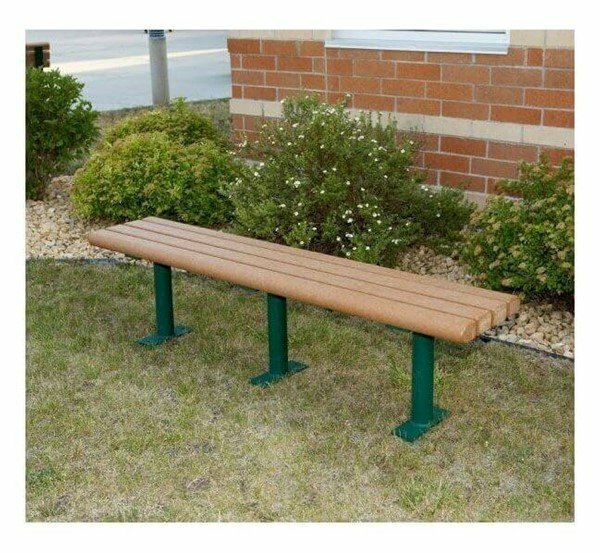 Made of strong powder-coated steel, the durable frame will resist rust, rot, and fade in all weather conditions. 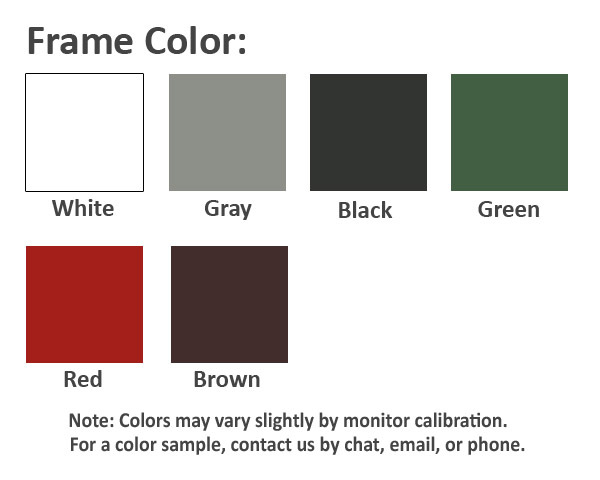 Choose the color for the seat and frame to compliment the surrounding outdoor area. Select a mounting option that would suit your needs: the free-standing portable, the secure surface mount, or the more permanent inground. This product is made in the USA and is supported by our 5-year commercial warranty. • Dimension: L 96" x W 15.5" x H 20"